Tuesday, November 5th: Tightwad like it's 1993! Bitchin' Berry takes Silver at the Great American Beer Festival! Congratulations on the past 20 years! I remember when you first opened, how wonderful it was to finally have good local beer. It's been great to watch you grow. Thanks for the kind words! It sure has been one wild ride the past 20 years and we've made so many friends along the way. We couldn't have done it without you guys. In the ever growing landscape of craft brewing, the local brewpub spotlighting the marriage of fine beer and mouthwatering fare is oftentimes the place we call our home away from home. For 2 decades Great Basin Brewing Co. has dedicated its endeavors to that of tapping into the hearts of beer and food lovers in Sparks & Reno. Come celebrate 20th Anniversary Week with us and enjoy daily specials and activities at both of the locations that have been home to so many days, months and years of fun, cheer and merriment. We're bringing back the old days when, once a week, you could come down to the Basin and be stuffed to the gills with all-you-can-eat Fish and Chips. Enjoy the bounty at both Reno and Sparks brewpubs with all-you-can-eat Fish and Chips for just $14.95 per person beginning at 4pm. 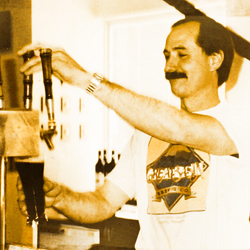 Tightwad Tuesday this week offers retro-priced $2 pints all day at both locations. A food and beer pairing dinner event with the founder and brewmaster, Tom Young, will be featured at the Reno location for a limited crowd. Dinner is $49 per guest and expected to sell out quickly. 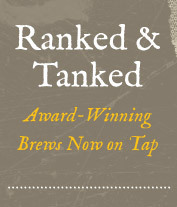 Make your reservation by calling 284-7711 post-haste to attend this one-of-a-kind celebration of Great Basin Brewing. The 2nd half of Anniversary Week starts with Coat Drive & Mystery Night! All items donated through the coat drive go to the Salvation Army and somebody in need. Exchange your warm coats for cold brews... we'll give you a free pint for each bag of clothes. And Mystery Night is, well, a mystery. Stick around to see what happens. Alas, the fun isn't over. 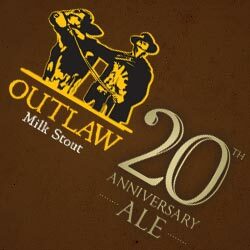 We're releasing bottles of the Outlaw Milk Stout and a Limited Edition Bottling of the Great Basin Anniversary Ale. This special brew honors 20 years of creative brewing by fusing 3 of our signature beers: Icky, Chilibeso and Harvest Ale. The result is a double IPA brewed with jalapenos and juniper berries. We're finishing off the week right with live music and a chance to taste over 30 rare and barrel-aged beers spanning the last 20 years! 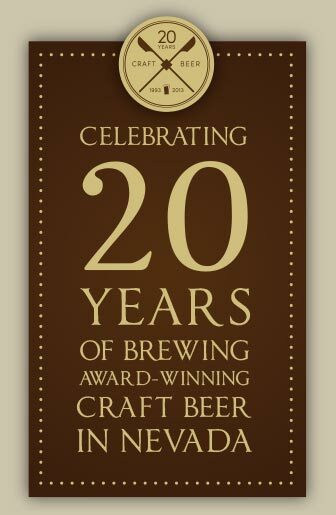 20th Anniversary celebration taster sets will be available for $20 and include a limited-edition pint glass, commemorative t-shirt, appetizers and 5 beer sample tickets. Additional taster tickets can be purchased for $1 each. 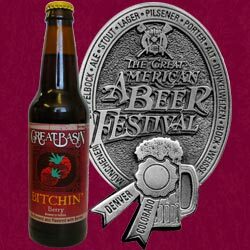 While attending the Great American Beer Festival last month, Great Basin's Bitchin' Berry was awarded Silver in the Fruit Wheat Beer category. Light and refreshing, Bitchin' Berry is available in the bottle and awaits your distinguished pallet. Grab the last pick of the harvest in stores while available! 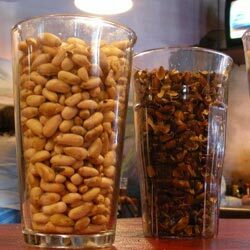 Many thanks to our patrons who recently attended Great Basin's nut cracking parties. Soon you'll be able to enjoy the result of your labors. This seasonal ale is coveted every year for its hints of pine nuts, notes of juniper berries and sage, it's a brew that is redolent of the natural landscapes we cherish right here in the Great Basin. Join us for the ultimate showdown for charity as we pit grain against the grape. $35.00 tickets benefiting the Reno Tahoe Open Foundation and the Food Bank of Northern Nevada. Silent auctions and Raffles will also take place.